This luxurious, pH balanced one-step treatment safely cleans and protects fine leather without using harmful or harsh solvents. Mild cleaners provide a safe cleaning action without stripping nutrients or protection. 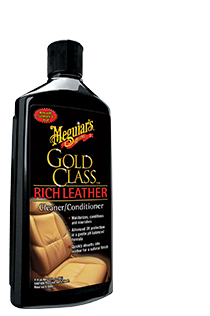 Special oils moisturise and condition leather so it remains rich and supple without adding artificial slickness. HOW TO USE: Apply a small amount of product onto surface with a clean 100% cotton terry towel and rub thoroughly onto surface of leather. Use a separate cloth for wipe off. *ALWAYS READ FULL DIRECTIONS PRINTED ON THE PRODUCT PRIOR TO USE.